WHERE IT ALL STARTED : My own wedding invitations! Including 5x7 invitation card, details card with map and rsvp card. 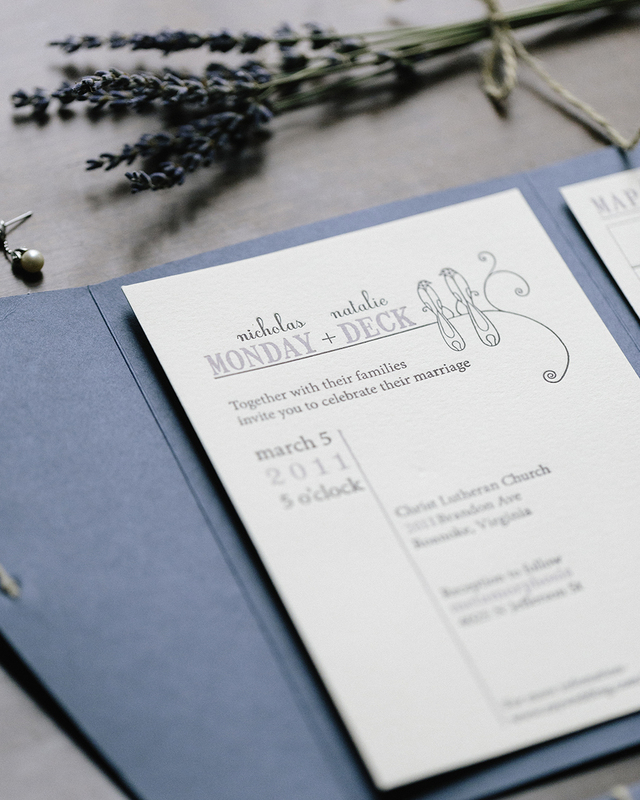 Each piece has 2 ink colors and was printed on 110# Crane's Lettra Ecru white paper. The trifold envelope enclosure and the button tie made this suite extra special!